We were a little envious of car backup viewers that show what’s behind you when you go into reverse. This now comes standard now with some cars now but you can also add it to any car. We’re trying out the new Magellan “Wireless Back-Up Camera,” which shows you what you’re about to bump into just before you bump into it. 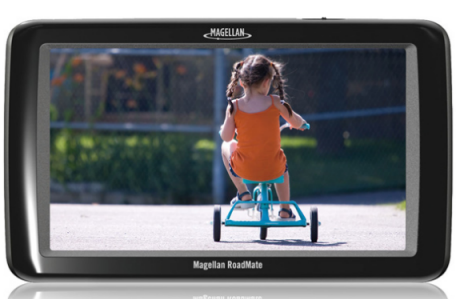 You install the tiny camera using your license plate bolts, and use the Magellan Roadmate 9055 GPS device as your screen. At seven inches, it’s a smaller screen than the ones that come in many new cars but larger than most GPS screens. The Roadmate gets great reviews because of its favorites menu, lifetime traffic alerts, points of interest info and member assistance from Automobile Club (AAA). We saw the camera advertised for $150 and the Roadmate GPS viewer for $257 at Amazon. That makes it a bit over $400 plus some handyman skills to set this up. Some wiring to the taillights is involved because you want the camera to start broadcasting what it sees as soon as you put the car in reverse.